The ADFH Pet Care Center (PCC) was opened in 1st of July 2007 for exclusive cat and dog boarding in a VIP style facility. Following the overwhelming success and permanent full booking of our facilities, we have extended our Pet Care facilities in 2008, 2010 and 2012. We believe that our cats and dogs for boarding should experience a five stars stay with us. Therefore we are not keeping our cats in cages but instead in very spacious suite-like rooms. Our dogs enjoy large rooms with a garden compartment and free running in our gardens. Currently, we have more than 150 rooms available for boarding. This way we like to introduce you to our clinic and outline the facilities, philosophy and services we offer. The site will try to answer most of your questions. It will display a lot of interesting information for pet owners of all kind, it has links to other interesting and informative sites, gives advice on what to do in Emergency – First Aid, provides some direct First Aid Course and helps you with correct and updated information on Travel Information. On top of this, there will be a special place for those who have found a pet or have a furry family member missing. Al Safa Veterinary Clinic in Dubai, UAE provides the most comprehensive medical and surgical companion animal care. It is our commitment to provide the best veterinary care throughout the life of your pet. Our services and facilities are range from routine preventive care for young, healthy pets; early detection and treatment of disease as your pet ages; and complete medical and surgical care as necessary during his or her lifetime. We are the first veterinary clinic in Dubai to have dedicated night nursing staff who are at the clinic looking after the hospitalized patients throughout the night, every night. At Noble Veterinary Clinic, our mission is pet health care and service. Our primary goal is to provide the best service possible to our client so that they would want to return to us for further pet-related services. When you are ready to choose the “right vet” for you and your pets, Noble Veterinary Clinic is the place for you. Each veterinarian and team member is deeply committed to your pet’s health and well-being. We love animals as much as you do! The principal aim of our practice is to provide you and your pets with the highest standard of veterinary care, in a friendly, helpful and informative environment. Our Veterinary Medical Centre provides a diagnostic service for your pets in times of illness, but we also understand the importance of preventative healthcare. Our services include routine health checks (with advice on worming, tick and flea control), vaccinations, micro-chipping, and the neutering of healthy pets. Should your pet require treatment, we have an extensive range of in-house equipment including computerized laboratory analysis and X-Ray facilities. We also have a fully-equipped surgical room suitable for elective, emergency and dental operating procedures. 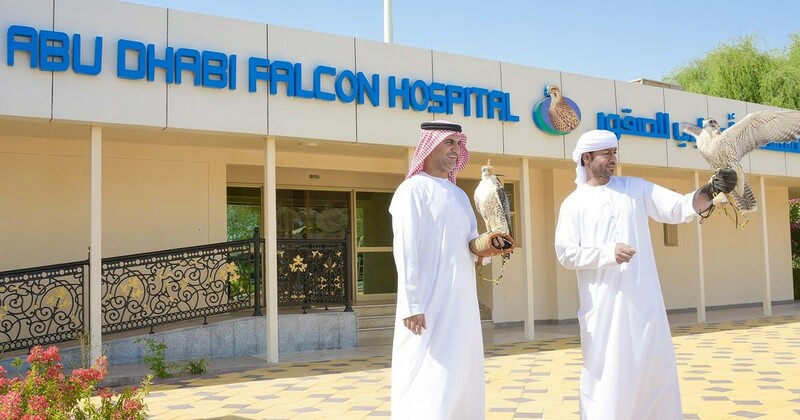 The Veterinary Hospital was established more than 30 years ago & is the longest established private veterinary clinic in Dubai. We offer the quality care that your pets deserve, in all aspects of Veterinary Medicine, with particular emphasis on prevention of disease. Our highly qualified staff provide ( 24 hours a day / 7 days a week) a unique & competent diagnostic support and assistance for your animals, whilst our modern computer facilities keep track of your pet’s medical history. All of us at The Veterinary Hospital have lived our lives with pets. We know that each is an individual with his or her own personality and a member of the family. We want the best standards of health care for our own pets and we aim to provide that same standard for our patients. We all know that you can’t always take your pets on holiday with you, and this separation can be distressing for you and your pet. That is why it is so important to leave your pet with someone you can trust. At the Animal Care Centre, we provide a friendly, reassuring and secure atmosphere to ensure your pet has an enjoyable stay with us! Animal Care Centre is a modern kennel, Cattery and veterinary clinic. Where to buy Desktop, Laptop and accessories in Dubai?